On Monday, August 13, Canberra public servant Michaela Banerji lost a case in the Federal Circuit Court before Judge Neville, which has paved the way for her possible dismissal from the Department of Immigration. Her dismissal, if it eventuates, may be partially due to her posts on her anonymous Twitter account (@lalegale) in which she criticised the government’s and the department’s policies. 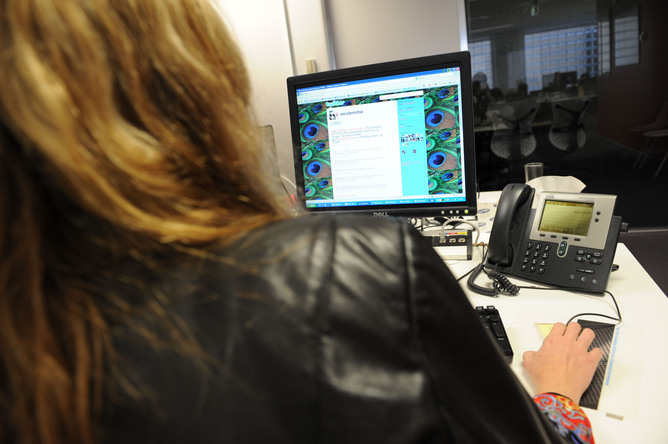 It is claimed that these tweets breach the Department’s Social Media Guidelines and the Australian Public Service’s Code of Conduct, as well as her contract of employment. The case is somewhat muddied by other allegations, such as her claim of victimisation against the Department and its claim that she was engaged in outside employment without proper permission or authority. So what did this case, Banerji v Bowles, actually decide? My interest here is in its ramifications for freedom of speech in this country. Therefore, I will not be talking of the other (multiple) issues raised in the case. Banerji argued that her tweets were a “simple expression of political opinion, made in her own time away from work”. As such, she claimed that her dismissal, which would be “unconscionable”, breached the “constitutionally guaranteed freedom of expression”. This freedom was uncovered by the High Court in two remarkable 1992 cases, Australian Capital Television v Commonwealth and Nationwide News v Wills. Majority and minority judges battled over the existence, scope, operation and source of the freedom until the unanimous decision in Lange v ABC in 1997. The constitutional freedom protects only “political communication” rather than all speech. So it would not, for example, be relevant if Banerji had been tweeting random obscenities. “Political speech” was defined in Lange as communications which could bear on one’s opinion about the federal government. I am not aware of the content of the contentious tweets from @lalegale, but it seems clear that most if not all come within that definition. For example, a reported tweet about immigration detention centres clearly bears on the government’s asylum seeker policy, and therefore one’s opinion of the federal government. However, the freedom is not “unfettered”, as Neville J correctly pointed out. In particular, proportionate restrictions on speech are permitted. Is a restriction on the public expression of critical political opinions by public servants permitted under our Constitution? Certainly, the Code of Conduct, contained in s. 13 of the Public Service Act 1999 requires public servants to comply with the APS’s values in section 10. Those values include being “apolitical”, which is essential so that public servants are able to faithfully serve the government of the day regardless of its ideological stripes. Certainly, it could undermine faith in the impartiality of the public service if public servants routinely and openly criticised the government or indeed the opposition, given they are the ones charged with implementing policies. Section 44 of the Constitution spells out that public servants in fact have fewer political rights than most Australians as they are ineligible for election to the Commonwealth Parliament. On the other hand, public servants have political opinions, so is it reasonable to curtail their public expression of them? This decision could send a chill wind through their use of a popular social media tool, used the world over as a vibrant site for political debate. Perhaps it is relevant that the opinions here were conveyed by an anonymous twitter account which few people identified as belonging to a public servant. As an aside, it does not seem that section 351 of the Fair Work Act explicitly arose in this case, which renders it unlawful for an employer to take adverse action against an employee on the basis of her political opinion. An exception to s. 351 is that a particular position may have relevant inherent requirements. A better argument in defence of the Department, if it should take adverse action against Banerji (according to my fellow tweeter @aequoetbono) is that any adverse action here is not based on her actual political opinion but on her expression of it. However, here it is notable that the Department’s social media guidelines recommend against the making of “unofficial public comments” which are or are perceived to be “harsh or extreme” in their “criticism” of the government, an MP, or any other political party. (As an aside, Banerji denies they were either harsh or extreme). Therefore, lavish praise of a particular policy arguably falls outside these guidelines. One might wonder if the internal investigation, which resulted in the Department uncovering @lalegale as Banerji’s account, would have been conducted had her tweets been praiseworthy rather than critical. My point here is that it may be arguable that any adverse action against Banerji is based on the opinion itself rather than the expression of them. Furthermore, if the Department’s policy in fact discriminates between different political opinions, that could be a factor tending against a finding that the restriction on Banerji’s speech was reasonable. In the end, Judge Neville did not consider whether a sanction against Banerji for her tweets was reasonable and proportionate. That is because he found that the constitutional freedom did not apply at all, because it did not provide a “license … to breach a contract of employment”. This is the most important and concerning part of the judgment, and it was accompanied by no reasoning. The constitutional freedom certainly curtails legislative and executive power. The question raised here is the extent to which the freedom impacts on the common law of contract. Lange established that the common law, at least the common law of defamation at issue in that case, must conform to the freedom. The freedom also informs the common law of trusts. So it is controversial to assume that it has no impact on contract law. Certainly, in the US, it has long been established that its First Amendment free speech rights curtail the operation of tort law. And it seems that it does not do the same with regard to contract law. Perhaps this is because contracts are expressions of the free will of the parties to them. Tort law, including defamation law and the law of negligence, is not a product of free will but something which binds us all regardless of our wishes. The Constitution, being a document aimed at constraining governments rather than private parties, is not an appropriate instrument to regulate relations between private entities. Furthermore, it is perhaps not for the Constitution to undo bargains freely agreed to. Finally, perhaps contract law itself, through doctrines such as public policy and unconscionability, provides the answer for counteracting unreasonable terms which restrict one’s ability to speak out. I am not aware that any contract law arguments were made before Judge Neville. However, these arguments about the proper relationship between the constitutional freedom and contract law are assailable. First of all, contracts are not entirely “private” as a contract cannot be enforced against an unwilling party without the intervention of the State. In any case, the government is in fact a party to the contract at issue in Banerji. Finally, the argument that a person has somehow given up their constitutional rights by signing a contract, while perhaps relevant in the US, is not relevant in Australia. That is because a quirky thing about the constitutional freedom is that it is not in fact a personal constitutional right. Rather, it is a restriction on government power designed to maintain the operation of representative and responsible government. Hence, any argument regarding “waiver” of a right is irrelevant as there is no personal right to waive. Furthermore it is easy to conceive of contractual clauses that might prejudice those underlying principles of our system of government. Perhaps the restrictions on the political speech of public servants do so. A key issue, which might arise in the future, could concern protections for government whistleblowers who reveal serious government wrongdoing. Such revelations would often breach employment contracts, but could be essential to maintaining government accountability and truly responsible government. So where does all this leave Ms Banerji? She has not been dismissed, and maybe she will not be. If she is, she is entitled to challenge that dismissal in court. At that stage, she could again raise the free speech issue. After all, Judge Neville’s decision is not binding on higher courts. The judge himself anticipated such a course of action, by recommending that any revival of the constitutional claims be “heard and determined by a superior court”, most obviously the Federal Court of Australia. ** Thanks to Patrick Emerton, Angus Macinnis and Mark Fletcher for sharing their thoughts on this matter. Next Post Next post: Decriminalising homosexuality worldwide: should Australia get involved? Thanks for the great reporting Sarah. Since the APSC issued its guidance on public comment and social media last year (http://www.apsc.gov.au/publications-and-media/current-circulars-and-advices/2012/circular-20121) I’ve been uncomfortably concerned that the message to public servants is kind of ‘err on the side of say nothing’. So much so that even posting this comment gives me pause for thought!